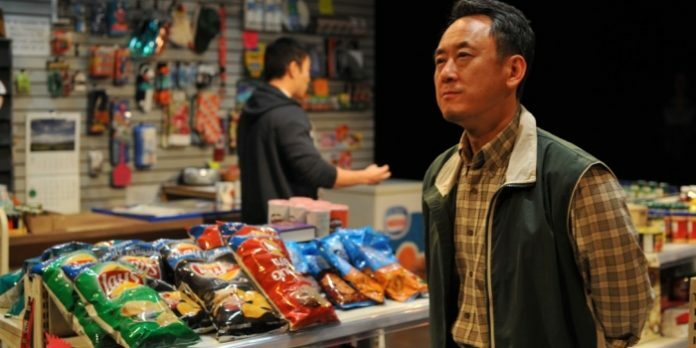 James Yi as Mr Kim in the Pacific Theatre production of Kim's Convenience which is one of three touring productions this year as part of the Arts Club's 2019-2020 season. Photo by Jalen Laine. In her second year as the Arts Club Theatre Company’s artistic director, Ashlie Corcoran has announced a 2019-2020 season she calls “a carefully curated mix of what Arts Club audiences love: great storytelling and fantastic theatricality”. “I aim to offer eclectic programming that sparks a connection with the audience, and to create theatre that celebrates local talent, emerging artists, and diversity, through this season and beyond,” says Corcoran in a media release. The 2019–2020 season opens at the Stanley Industrial Alliance Stage in September with A Thousand Splendid Suns, the story of the unlikely connection between two Afghan women in war-torn Kabul. Based on the best-selling novel by Khaled Hosseini, it is a co-production with Royal Manitoba Theatre Centre. 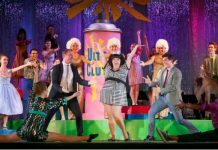 Four other shows are programmed for the Stanley, including the classic play-within-a-play Noises Off, and carried away on the crest of a wave, the Governor General’s Award-winning play about the cataclysmic 2004 Indian Ocean tsunami. The winter and summer musicals at the Stanley will be announced at a later date. Two plays will also have their world premieres during the season. First up is Vancouver playwright Marcus Youssef’s It’s a Wonderful Christmas-ish Holiday Miracle, followed by the 2018 Alberta Playwriting Competition winner Cipher by Ellen Close and Braden Griffith. In partnership with Edmonton’s Citadel Theatre, the Pulitzer Prize-winning play Cost of Living will be produced for the first time in Canada, and Peter Pan Goes Wrong from Britain’s Mischief Theatre will see its North American premiere. The Arts Club has also partnered with Theatre Calgary to co-commission Hiro Kanagawa’s stage adaptation of Mark Sakamoto’s World War II family memoir, Forgiveness. The book, which won the Canada Reads 2018 competition, is currently being developed into a television miniseries. In addition to co-productions with the Citadel, Royal Manitoba Theatre Centre, Theatre Calgary, the season also includes co-productions with Winnipeg’s Prairie Theatre Exchange, and Calgary’s Vertigo Theatre. 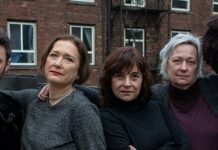 Corcoran also announced the Arts Club’s newest Silver Commission with Mom’s the Word 4, the latest installment from the B.C.-based Mom’s the Word Collective. The Arts Club will tour three shows during the season, including a remount of the critically acclaimed Pacific Theatre production of Kim’s Convenience. Corcoran named rice & beans theatre as the Arts Club’s 2019–2020 Company in Residence, and the formation of its newest initiative, the Emerging Playwrights’ Unit. Below is a complete listing of productions scheduled for the Arts Club’s 2019-2020 season. Visit artsclub.com for more information.